Happy weekend everyone!!!! What are you planning to do this weekend? 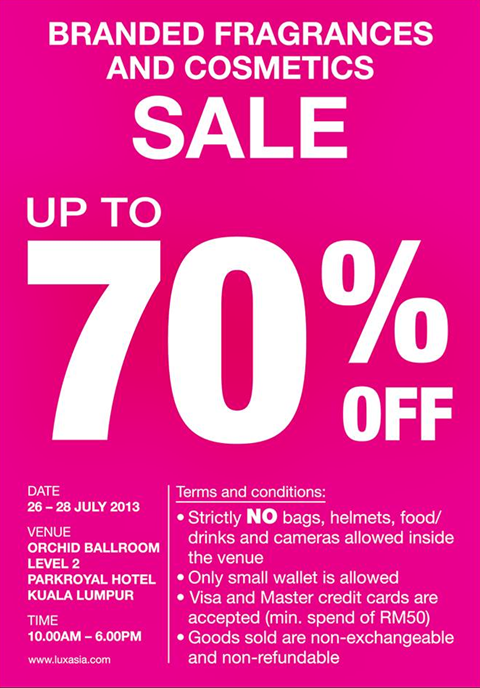 If you're heading to the city, remember to drop by Park Royal Kuala Lumpur to check out the Luxasia Warehouse Sale. Since it is public holiday in Selangor, I dated Fiona from Street Love to go there early in the morning today. It's all worth it to wake up so early in the morning! Though I wish I have more cash to spend (end of the month syndrome). Luxasia is the distributor of a lot of a lot beauty brands and arguably the largest distributor in Malaysia (some says in Asia). They distribute mostly branded perfumes and some full range makeup lines. 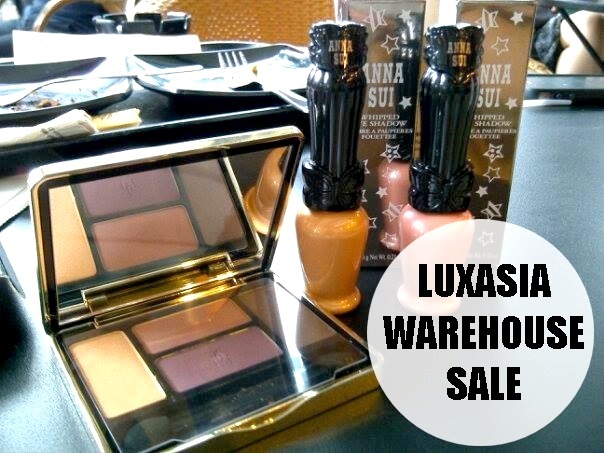 I want the anna sui eyeshow!! Worth waking up early for this! I wish they put more skin care and cosmetic into the sales sigh.